Wish your friends and family a Merry Christmas with these fabulous cards! 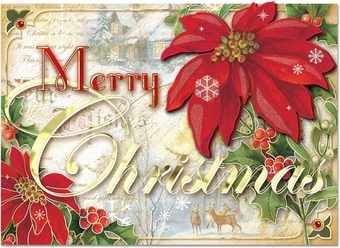 The message is written in gold foil and accented with glitter, and has been surrounded by poinsettia blossoms and holly. Inside, the cards say "And a Happy New Year!"